Enjoying a swimming pool in Afghanistan during the hot summer months is possible, but there certainly are some challenges to overcome. Frequent dust storms are enough to try any pool owner's patience! Although there are no pool & spa stores to go to for supplies, we have found some relatively inexpensive local alternatives. Before embarking on your pool in Afghanistan escapade, you will need to design your pool, purchase a filtration and pump system, create a pool vacuum, and formulate a plan for maintaining safe chemical balance. There have been infrequent times when Kabul stores have stocked reasonably sized portable pools, they are rarely available. While requiring more work and resources, it is also possible to use local materials to build your own swimming pool in Afghanistan. If you do build your own, we recommend an above ground design for ease of maintenance and draining. 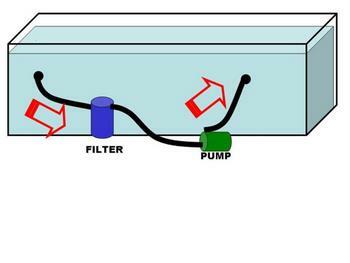 A critical part of your system needs to include a robust method for filtering the water. Be aware that if you opt to go with an imported portable pool, the filter system that accompanies it is probably not sufficient enough to handle the excessive Kabul dirt. You will likely need to replace it with something more substantive. 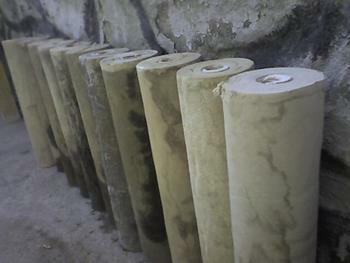 Water filters are available in the local bazaar in Kabul. However, filter elements are difficult to find and are extremely expensive. It is worth the effort to fabricate your own reusable filter element in order to cut down on cost. I did this by drilling holes through a section of PVC pipe and wrapping it with suitable fabric that could be washed and reused after it became plugged with dirt. You can hold the fabric in place with simple rubber bands. Because the environment is so dirty, filtration will be one of the most significant challenges for maintaining a swimming pool in Afghanistan. The filters will likely need to be replaced twice a day and the pump system will need to have electrical power continuously. 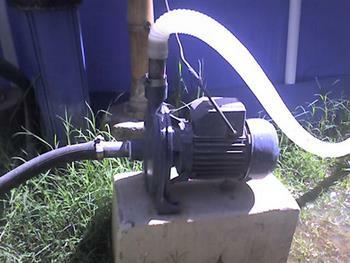 Electrical water pumps are readily available. 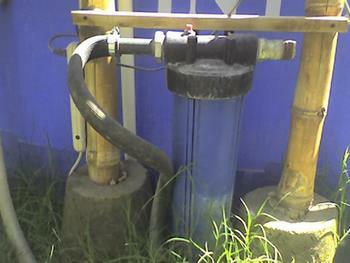 Again, you should buy one with sufficient power to move a large volume of water. We recommend that you purchase a complete pool chemistry testing kit to help you properly maintain swimming pool chemistry. These kits are not available in Afghanistan, but they are small and can easily be packed in luggage. Although there is powdered chlorine available in Kabul, there are too many impurities in it for it to be used practically for a pool. We found that importing pool chemicals was far too expensive and troublesome. A practical locally available alternative is bleaching liquid. There is a lot of disagreement associated with using bleaching liquid in a pool, but we found it to be a good alternative. We used approximately 2 ½ gallons initially after filling our 15 foot pool, then maintained the chlorine level by adding ½ gallon a day. Do not be surprised if the hard Afghan water turns very brown initially when it reacts to the chlorine. It cleared up pretty fast when we aggressively replaced dirty filter elements. Did we mention that Afghanistan is pretty dirty? OK, so as you might expect, there will be a significant degree of cleaning associated with your swimming pool care in Afghanistan. You should expect to empty the entire pool a couple of times each summer and clean it out thoroughly. In the still of the morning, you will notice that a lot of the dirt in your pool will settle nicely on the bottom. Once a week, it is sensible to vacuum out that dirt to help keep your pool as clear as possible. I found that a satisfactory method for doing this was simply to siphon dirt out onto our lawn. It was impossible to try to filter that dirt out of the water and back into the pool because Afghanistan has a lot of di… er, never mind. 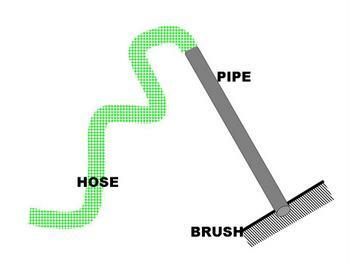 Anyway, you can fabricate a vacuum that uses this siphoning method by simply taking an 8 ft. length of PVC pipe and attach a small broom to one end and about 15 ft. of garden hose to the other. Fill the hose with water and plug the free end. Place that end where you want the water to drain (it must be at a lower level than the pool) and release the plug to initiate the siphoning. Use the brush to stir up the dirt slightly and then watch as the open end of the pipe vacuums up the dirty water. Feel free to contact us if you have questions or comments about maintaining a swimming pool in Afghanistan!